GAR Article: Peace at last as Ethiopia accepts findings of boundary commission? Peace at last as Ethiopia accepts findings of boundary commission? A protracted and bloody dispute over land between Ethiopia and Eritrea may be at an end after Ethiopia fully accepted the award of a boundary commission that operated under the auspices of the Permanent Court of Arbitration in The Hague. 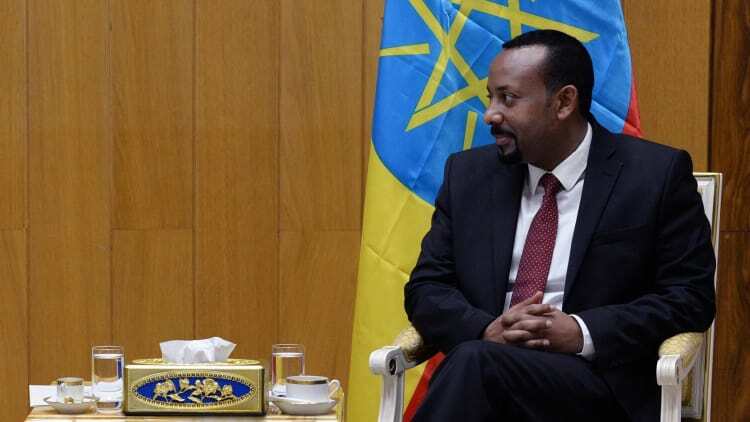 After a day-long meeting on 5 June, Ethiopia’s governing party released a statement saying it would “fully accept and implement” a peace deal with Eritrea that commits the two countries to accepting the findings of the commission. It also called on the Eritrean government to “take the same stand without any prerequisite and accept our call to bring back the long-lost peace of the two brother nations as it was before”. Eritrea has already publicly accepted the commission’s findings, refusing to submit to further negotiations until Ethiopia did the same. The formerly united East African countries, which became independent from one another 25 years ago, fought a war over their borders from 1998 to 2000, leaving around 100,000 dead. Signed on 12 December 2000, the Algiers Agreement brought an end to the conflict and mandated the commission to “delimit and demarcate” the border between the countries based on “pertinent colonial treaties” from 1900, 1902 and 1908 and “applicable international law”. In the meantime, it established a temporary security zone to keep the two sides 25 kilometres apart. 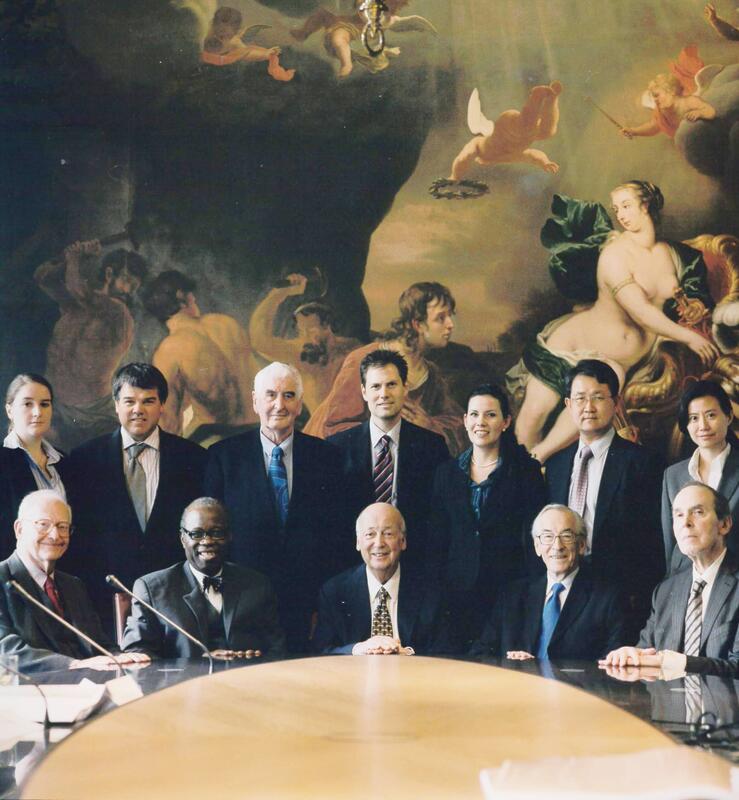 The Hague-seated boundary commission was presided over by UK arbitrator and public international law specialist Sir Elihu Lauterpacht QC and included Prince Bolo Adesumbo Abijola of Nigeria and Sir Arthur Watts QC of the UK, appointed by Ethiopia, and US arbitrators Michael Reisman and Stephen Schwebel, appointed by Eritrea. Both Lauterpacht and Watts have since died. Technical support was provided by the UN Cartographic Section, whose chief served as the commission’s secretary, responsible for reviewing the claims and evidence of the parties and identifying the portions of the border not in dispute. The arbitration was also notable for its use of satellite data of the disputed area, for the first time in an international law case. In its deliberations on the boundary, the commission had regard to the borders between the two countries at independence, as determined by the Organisation of African Unity conference in Cairo in 1964, and to the subsequent conduct of the states including activities on the ground in exercise of sovereign authority, as well as to the colonial treaties. It set out a description of the boundary as so determined in a unanimous decision in April 2002, which the two states fully accepted. After that, Ethiopia and Eritrea called for an expeditious demarcation of the boundary – involving the marking or evidencing of it in relation to physical phenomena on the ground. The commission established field offices in Ethiopia’s capital Addis Ababa, Eritrea’s capital Asmara and in Adigrat, an Ethiopian city that lies just south of the border and is regarded as the gateway to Eritrea. Between March and August 2003, the commission completed part of the demarcation of the eastern boundary but, when it turned its attention to the central and western boundary, an impasse arose after Ethiopia belatedly called into question parts of the delimitation decision. The commission met with representatives of the two states in March 2006 to find a way to resume the demarcation, but failed to break the impasse. The UN Security Council then intervened and requested them to comply with their obligations under the Algiers Agreement. Following this, the commission met in private and issued a statement on 27 November 2006 setting out alternative location points for the placement of pillars marking the boundary using image processing and terrain modelling techniques. The statement said that, if the parties had not reached agreement on their placement by the end of November 2007, the boundary would stand as demarcated in an annex to the statement. It cited the principle of institutional “effectiveness” in the law of treaties in support of this. Such an agreement was not reached, so, on 30 November 2007, the boundary set out in the annex became binding. However, Ethiopia’s failure to publicly accept the decision has been a concern, with the state continuing to occupy the town of Badme, which the tribunal awarded to Eritrea in its 2002 ruling. As a result, the two states have been in a 16-year limbo between war and peace, to the frustration of the international community. The trigger for the end of the stalemate was the election in March this year of Ethiopia’s new prime minister Abiy Ahmed, who vowed in his inaugural address to seek peace with Eritrea. Following his government's acceptance of the peace deal, Ethiopia is expected to withdraw its occupying troops from Badme and other territory awarded to Eritrea, ending the militarisation of the border. Volterra also notes the international pressure Ethiopia has faced to comply with the commission’s award. Government sovereign wealth funds and aid programmes refused to give money to contribute to the country’s economic development and it lost its treasured leadership of the African Union. “This development is a timely reminder to leaders of governments around the world who may be tempted by possible short-term benefits of violating the rule of international law that, even without physical compulsion, the community of states has many ways inexorably to punish countries that do not comply with their legal obligations,” Volterra says. However, news analysis website African Arguments makes the point that "achieving peace is just not a matter of issuing statements" and argues that Ethiopia will have to tread carefully given opposition to Abiy's approach within the country and in Eritrea. African Arguments makes the point that the Algiers Agrement permitted the boundary commission to determine the border on a purely legal basis, with no power to make divisions on an "ex aequo et bono" basis. Hence, it says the border "cuts communities in half, deprives farmers of access to their fields and pastures and divides villages." To avoid further violence, "sensible adjustments" will be needed, as well as a firm decision on when the commission's ruling will be implemented along the 1,000-mile border and careful coordination of troops of each side advancing and retreating, the website says. It also noted that the Algiers Agreement provides for intervention by the secretary general of the UN or African Union if needed, stating at Article 4 that they should "faciliate resolution of problems which may arise due to the transfer of territorial control, including the consequences for individuals residing in previously disputed territory". Since the Algiers Agreement was witnessed by the United States and European Union, they "should, in good conscience, also play their part," the website argues. Other media reports have suggested that much depends on whether Eritrea’s president Isaias Afwerki is prepared to abide by the decision of the commission or whether his previous acceptance of it was mere lip service. Ethiopia “has called Eritrea’s bluff” says the Financial Times. The boundary arbitration was not the only one to arise from the conflict between Ethiopia and Eritrea. Another PCA-administered commission was convened at The Hague under the Algiers Agreement to “decide through binding arbitration all claims for loss, damage or injury” brought by the two states against each other, resulting from violations of international law and international humanitarian law, including the 1949 Geneva Convention. That commission was chaired by Dutch arbitrator Hans van Houtte and included four US arbitrators, George Aldrich and Dean James Paul, appointed by Ethiopia, and John Crook and Lucy Reed, appointed by Eritrea. Like the boundary commission, it applied rules based on the PCA Optional Rules for Arbitration Between Two States, considering claims over the conduct of military operations, treatment of prisoners of war and civilians and their property and the economic impact of certain actions by both governments and reaching a final award on damages in 2011. The PCA has also played host to another African boundary case, with the government of Sudan and separatists from what is now South Sudan famously turning to arbitration in 2008 to decide the borders of the disputed central region of Abyei ahead of the referendum on secession. The arbitration was crucial to deciding who could participate in the 2009 referendum and accordingly to its outcome, although Abyei itself remains under UN occupation because of continuing border skirmishes. Two years after the case ended, South Sudan’s president Salva Kiir offered to act as a mediator for Ethiopia and Eritrea in their border dispute, saying it was “disturbing” to see Addis Ababa and Asmara “bleeding again”. Meanwhile, there is hope of further change in Ethiopia under Abiy's leadership, after the ruling party also resolved in its meeting on 5 June to open up the economy to domestic and foreign investors through partial or full privatisations of key state-owned enterprises and the transferral of minority shares in state-owned companies including Ethiopian Airlines, Ethio-Telecoms and Ethiopian Shipping and Logistic Services. 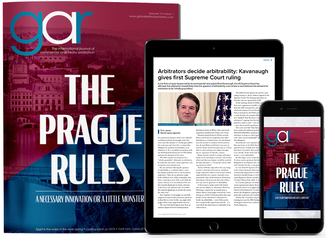 Many in the arbitration community hope the state’s long-awaited accession to the New York Convention will be a logical next step. The Tribunal (left to right): Judge Stephen M Schwebel, Prince Bola Adesumbo Ajibola, Sir Elihu Lauterpacht QC (President of the Commission), Sir Arthur Watts QC, and Professor W Michael Reisman. Fedelma Smith (Assistant Legal Counsel, PCA), Vincent Belgrave (Chief Surveyor for the Commission), William Robertson (Special Consultant to the Commission), Dane Ratliff (Legal Counsel, PCA, and Registrar of the Commission) Michelle Bradfield (Assistant to the President of the Commission), Kyung-Soo Eom (Chief of the Cartographic Section of the United Nations Secretariat and Secretary of the Commission), and Alice Chow (Assistant to the Secretary of the Commission, United Nations Cartographic Section).